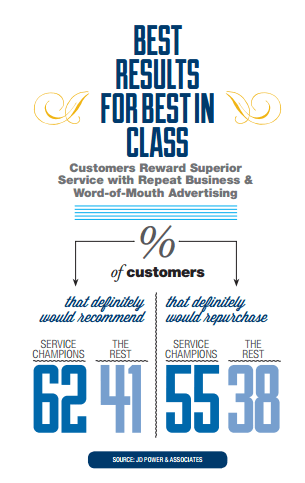 Who are the 2014 Customer Champions? 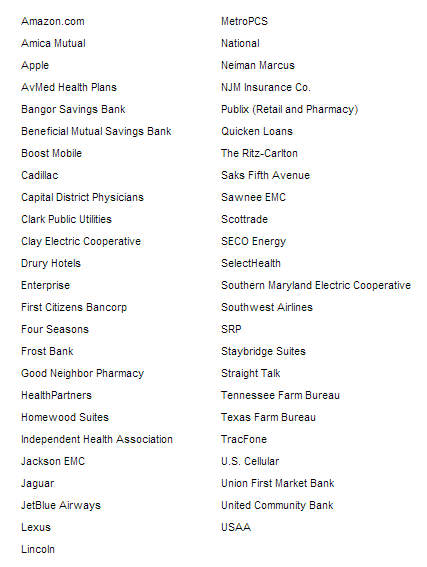 JD Power released their list of top 50 2014 Customer Champions. Who are these companies? JD Power looked at over 600 companies across nine industries, focusing on five factors that JD Powers refers to as the “Five P’s”: People, Presentation, Price, Process and Product. Companies who achieve this status find that it all starts with hiring – finding the right people to promote a customer centric environment, training the staff to be able to make decisions that allow them to solve customer issues quickly and independently, and providing an environment that promotes longevity in the workplace. Another key aspect these companies share is listening – listening to both customer and employee feedback to find ways to improve the customer experience. Companies can mirror what the champions do in terms of careful planning from the ground up to ensure that their customer service is top notch. Taking a close look at what these companies do compared to your company’s procedures, making adjustments where needed, is a good first step in focusing on your customers’ overall experience and satisfaction. Ann Michaels & Associates | Comments Off on Who are the 2014 Customer Champions?